For anyone who has ever asked themselves if their voice as a citizen matters or could make a difference when it come to peace and security — the Norwegian Nobel Committee, which awards the Nobel Peace Prize, has issued a resounding response: Indeed.When citizens from all walks of life and backgrounds are engaged constructively together, they have the power to turn a tide of conflict and violence to one of peace and prosperity. Peace, arguably, requires much more strength, endurance and courage than violence. Building peace can be a treacherously slow process that requires sustained commitments over time — both political and financial — to dialogue. National dialogue processes can deter violence by helping to build constitutional frameworks, as well as mechanisms for state and political reform, and provide spaces for reconciliation and collective envisioning of the future. However, not all national dialogues value — or succeed in achieving, as the Quartet did — a “broad-based,” participatory, nationally owned process. Broad-based or inclusive dialogue processes must genuinely involve a range of stakeholders, including women, religious leaders, youth, elders and more. Importantly, dialogue processes that are inclusive can provide a constructive way for disagreement to be aired and for different points of view to emerge and be dealt with. Yet, more often than not, those who are not part of government or party to conflict still struggle to be included in mediation and national dialogue processes, particularly women and women’s groups. The Quartet demonstrates that national dialogues have the power to be transformative when they are truly inclusive and nationally owned. It also points to the strength of internal mediators — particularly compared with other situations in the Arab Spring where the arbiter was the military or a third party. 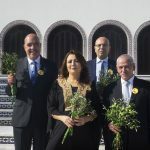 The Quartet’s success stands in sharp contrast to places suffering armed conflicts and struggling to achieve effective national dialogue processes. One disastrous consequence of the failure of both national dialogue and disarmament is the current situation in the Central African Republic (CAR). The United Nations has investigated widespread violence in the CAR, including ethnic cleansing, conflict-related sexual violence and possible acts of genocide committed along religious lines in communities that otherwise have lived peacefully together. It is a profound crisis that has received little attention — despite U.N. warnings of genocide, estimates of over 800,000 internally displaced persons and refugees, and 35 percent of the population facing food insecurity. Ultimately, the empowerment, participation and voice of each and every citizen are fundamental requirements for peace. We are all peacemakers and peace builders — in our own homes, our communities and our world. 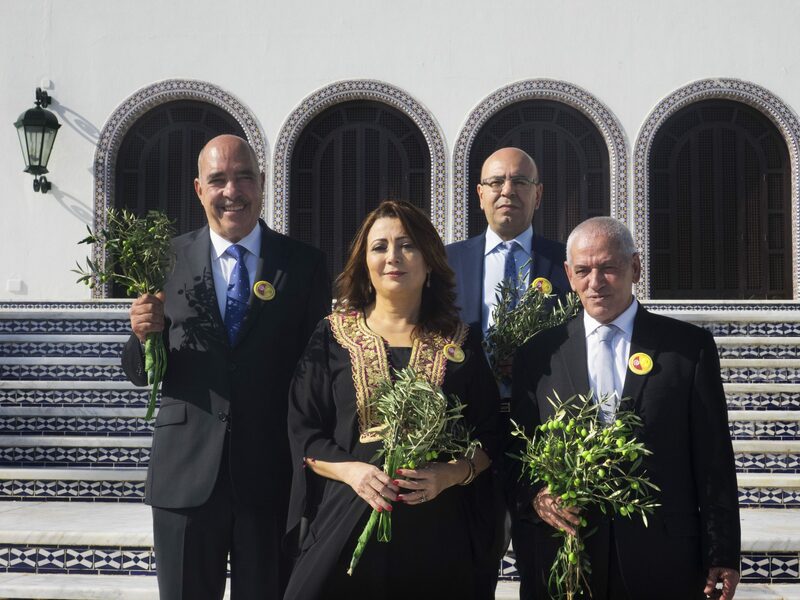 Every single member of each of the organizations comprising the Tunisian National Dialogue Quartet is the winner of a collective achievement that has maintained the safety, well-being, and future of their neighbors and nation. Gina Torry was the former executive director of the Nobel Peace Prize Forum, a former member of the United Nations Department of Political Affairs Mediation Support Unit and former coordinator of the NGO Working Group on Women, Peace and Security. This article was first published as an op-ed in the Minneapolis Star Tribune on October 15, 2015.